Life Seeds is involved in the following programs in India to sow seeds of life to those in need. Many widows in India have no right to inheritance, are abandoned by their society and forced to beg on the streets. Some of the widows had been begging for the last 15 years. . 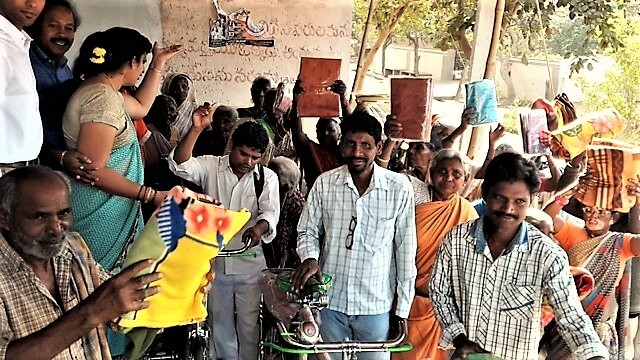 Since December 2006, Life Seeds has provided a feeding and discipleship program in Borrampalem, Andhra Pradesh, India. The widowed receive loving care, medical help, food, clothes and discipleship from Zion Ministries. A Multipurpose Building was completed in 2016 to facilitate this program during all seasons of weather. Will you help with this life changing program? Donations of any amount, (monthly or one time) toward this outreach are greatly appreciated. Life Seeds had a wonderful opportunity to help build and establish an accredited school in Borrampalem, India. The school opened in June of 2009 with 80 poor students, several coming out of bonded labor. Grace Public School (GNR)grew to 650 students in 2016. The school offers grades pre K-10th Standard, after which they take exams to prepare for college. The school is life changing, especially for Dahlit and Tribal poor children, giving them more opportunities in a culture where your caste or designated level in society severely limits your education and options in life. The school is open to all castes and all religions. Life Seeds has provided funding to build and help operate the school. As of July 2016, the school is transitioning to self sustaining with Life Seeds occasional building/maintenance help. Sincere appreciation to all Life Seeds donors who’ve supported this excellent school over the years. Currently, Pastors must work long hours just to support themselves. After work, they travel to remote villages to help the poor and share the gospel, often facing intense persecution. 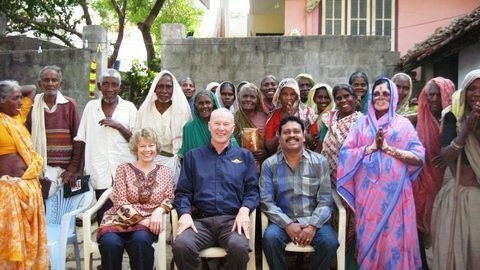 Life Seeds provides a Pastor Support Program through Zion Ministries in South India and Asha Ministries in N. India. This program offers Pastors monthly financial and prayer support so they can bring God’s love in Word and Deed to unreached villages. The struggling labor colonies, tribal, and Dahlit poor villages desperately need the love and support of these Pastors with health issues, domestic violence, addictions, illiteracy, economic challenges, and persecution. Will you help bring God’s love in Word and Deed to these unreached villages?